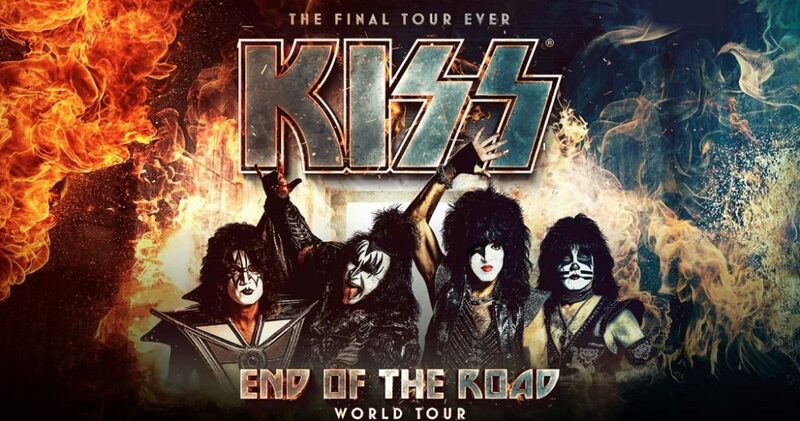 (TRR) – Legendary rockers KISS have announced their End of The Road Farewell Tour. The global trek kicks off on Jaunary 31, 2019 at Rogers Arena in Vancover, BC and wraps up on September 16 at Oracle Arena in Oakland, CA. The tour will see the seminal band play arenas and stadiums in North America and Europe, with the possibility of more dates to be announced in other countries. 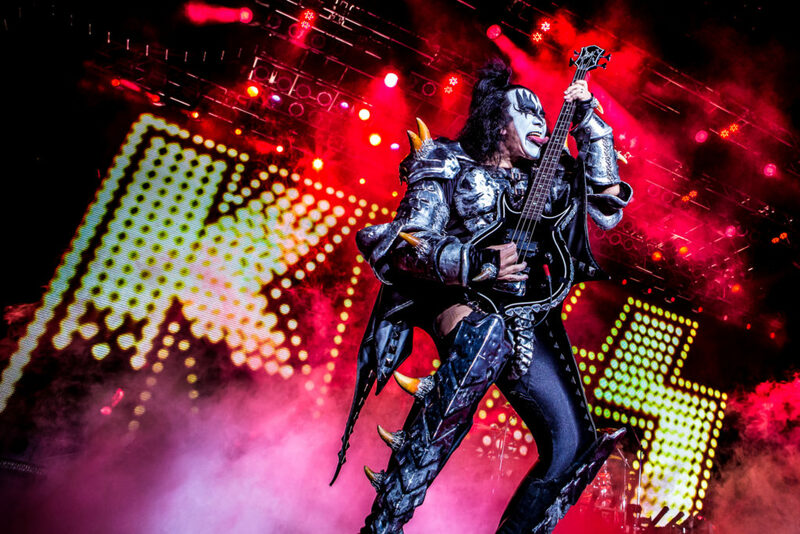 It will be the last time fans can experience KISS’s explosive live performances that have been a staple of their career that spands over four decades. Exclusive Meet and Greet packages are available via KissOnline.com starting tomorrow, November 27 at 10 am local time. 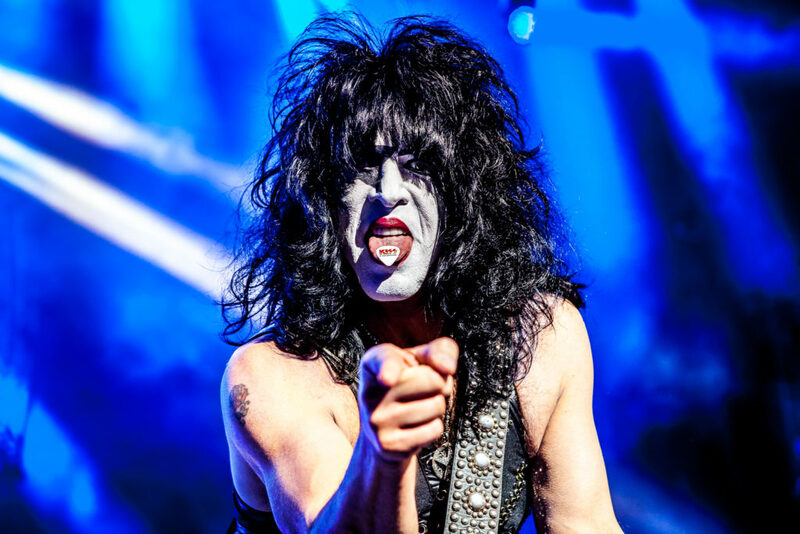 KISS Army fan club pre-sales will begin Wednesday, November 28th at 9 am local time. General public on sale will begin on Monday, December 3rd at 10 am local time. 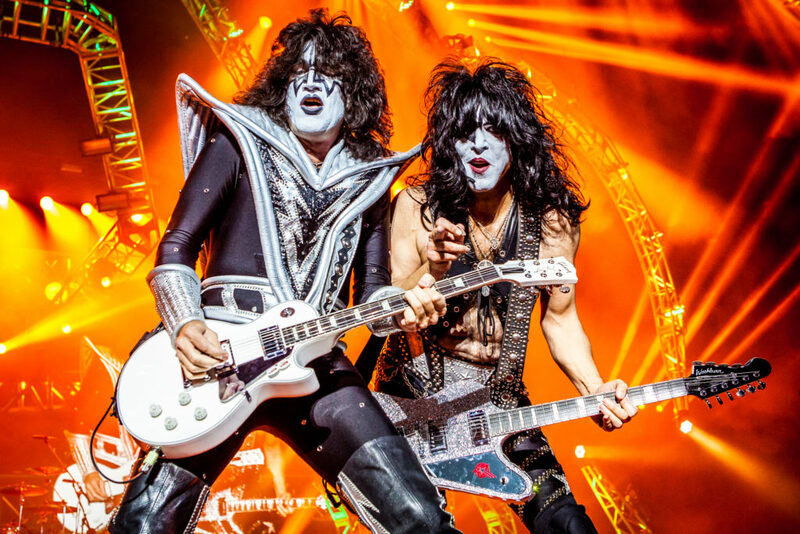 KISS are one of the most successful acts in music history, having sold over 100 million albums worldwide. The band broke into the mainstream in 1974 with their self-titled debut album. In 1977, the band won the People’s Choice Award for Best New Song for “Beth”. KISS were nominated for a Grammy Award in 1999 for Best Hard Rock Performance. From 1996-2000, the band garnered 16 Metal Edge Reader’s Choice Awards. KISS were inducted into the Rock and Roll Hall of Fame on April 10, 2015 at the Barclays Center in New York. The band was featured on the cover of Rolling Stone in April 2014 for the first time in their career in light of their induction into the Hall of Fame. Tagged Gene Simmons, KISS, paul stanley.